I’ve found that there are many different opinions on whether one type of water dish is better than the other. 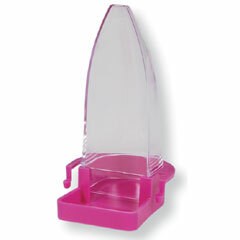 My honest opinion is that the best water dish is the one that suits your likings the best. 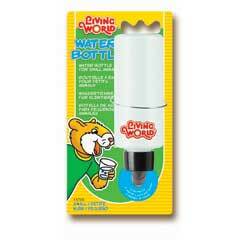 For example, my favorite type of water dish is the hamster water bottle type. 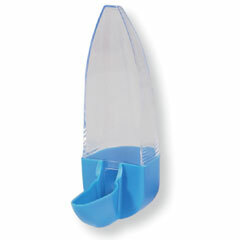 Just because it’s easy to use, keeps the water completely clean, and can carry controlled amounts of water at a time. I also liked this one because it was fairly easy to clean. The smallest size I could get was the perfect size for the budgies, and I like these because they are easily replaced. This is the type of water dish I use. I use these now. My birds like to perch on the sides of these dishes, but their poop contaminates the water, which doesn’t smell to good when I go to clean it. They are pretty good for containing food though, so that is what I use them for too. When there is food in them however, it makes the birds just a bit more extra careful when they need to “go”. The last time I used one of these was more than a year ago. That is because the one I had just busted right in my hand when I was trying to hang it on their cage. They hold a lot of contents, but they are too fragile for me. The adapter clip on the side is also a bit too flimsy for my liking. These would be my second choice for water dishes because of how simple it is to assemble or take apart. Just two parts, and it is really easy to clean. The only reason why I don’t use these anymore is because all of the cage bars on my cage right now are horizontal, so that makes it pretty hard to use them, don’t you think? There is a version for horizontal cage bars though, but the little clips that keep them on break easily, so my two were disposed of pretty quickly. This is the horizontal version of Feeding Tube. There are two types of these dishes, one for food and one for water. For food dishes, I’d have to say that the Stainless Steel Bowls are the best. They are very durable, safe, and can be washed in the dishwasher along with your other dishes if you like. I prefer to hand-wash mine. Posted in Informative Post and tagged Food Dishes, Reviews, Water Dishes. Bookmark the permalink.